The most significant opportunity to improve health outcomes and reduce costs in the United States may come from developing performance programs that redefine healthcare services. In 2 to 3 years, we will have insight into the potential impact they offer our future health and healthcare costs. The way hospitals, physicians and other health providers get paid today is based on the number of services performed (like most other services). Unless we decide we want to pay for services we don’t use, this will not change. What we can change is how we define “the service”. The hospital visit, the physician office visit and the outpatient procedure are services that will be redefined by new reimbursement models called “performance programs”. In the future, the top line revenue of hospitals, physicians and other health providers will remain tied to volume, yet their bottom line profitability will be based on “performance programs” at a competitive price. This may bring the desired improvement of health outcomes at a reduced cost. Readmission Penalties – Medicare penalizes hospitals as much as 2% of their total inpatient Medicare revenue if there is a high rate of readmissions within 30 days after a patient leaves the hospital. Medicare will increase the maximum to 3% beginning October 2014. It is likely that other insurers will eventually tie a percentage of reimbursement to readmissions rates. Spending Per Beneficiary – Medicare will begin penalizing up to 0.3% of inpatient Medicare revenue beginning October 2014 based on the average “Medicare Spending Per Beneficiary”. Medicare spends an average of $10,122 per inpatient stay and $7,984 during the 1 to 30 days after the patient leaves the hospital. This new metric is publically available and will likely be adopted by other insurers. Reference Pricing – If you are in an ambulance with symptoms of pneumonia or heart failure, it is unlikely you’ll be checking hospital performance and pricing. In the future, this will not be the case for most scheduled (day or two in advance) orthopedic surgeries (i.e., hip and knee replacement), heart surgeries and other procedures. California Public Employees’ Retirement System (Calpers) discovered it paid between $20,000 and $120,000 for the same hip or knee replacement procedures across the state, without differences in outcomes. Calpers capped their patient’s benefits at $30,000 for these procedures and saved $3.1M. 54 hospitals in California were able to offer these procedures to the 1.3 million Calpers beneficiaries at a price under $30K. Bundled Payments – Medicare spends an average of $10,122 for an inpatient stay and approximately $10,000 during the period of 1 to 90 days after the stay. This could mean as much as 50% of the reimbursement will be tied to what happens outside the four walls of the hospital. The Medicare Bundled Payment for Care Improvement (BPCI) pilot of this model has begun and could be rolled out by October 2015. Many other insurers are leveraging the Medicare rules and regulations to introduce commercial bundled payments. Accountable Care Organizations (ACOs) – ACOs take on the risk of the overall cost of a patient measured over 12 month periods. Over 250 ACOs have signed up for the three year Medicare pilot called Medicare Shared Savings Program (MSSP). The private healthcare insurance industry has followed Medicare’s lead and guidelines by signing up 250 ACOs to similar arrangements for their enrollee’s 12 month costs. Already 14% of the US population is being served by ACOs. 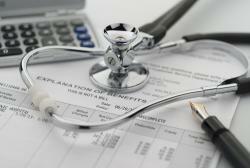 Medicare is likely to offer Beneficiary financial incentives to join ACOs beginning in 2015. Insurers will likely follow by offering similar incentives to their members. Patient Centered Medical Homes (PCMHs) – These are mostly primary care practices that get NCQA certified to coordinate patient care that leads to higher quality, lower cost and a better overall patient experience. PCMHs get payment for coordinating care and performing population health services that are not typically reimbursed to traditional practices. PCMHs are also eligible for higher payments, lump sum payments, per-member per-month payments, pay-for performance payments and shared shaving payments. Employee Population Health – The typical hospital or healthcare system is one of the largest local employers. 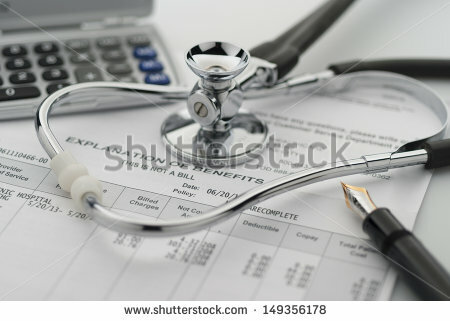 Most of them are self-insured and responsible for the overall cost of their employees’ healthcare. Like other large employers, hospitals offer employee financial incentives that encourage them to take health assessments and adhere to a health plan to improve certain conditions. Large employers like Walmart offer employees’ discounts (or no out of pocket costs) if employees get services from hospitals that employers have negotiated directly for services. Health Plans – 20% of hospitals or healthcare systems now offer some kind of insurance product to their communities and another 20% are exploring insurance options. Narrow network insurance plans are also being developed to be offered in the new Affordable Care Act healthcare exchanges. Performance programs are new and will evolve based on their efficiency and effectiveness. Hospitals, physicians and other health providers will need to transform to the new definition of the “service”. It will be a service with a performance program component.